I haven't seen many of these. 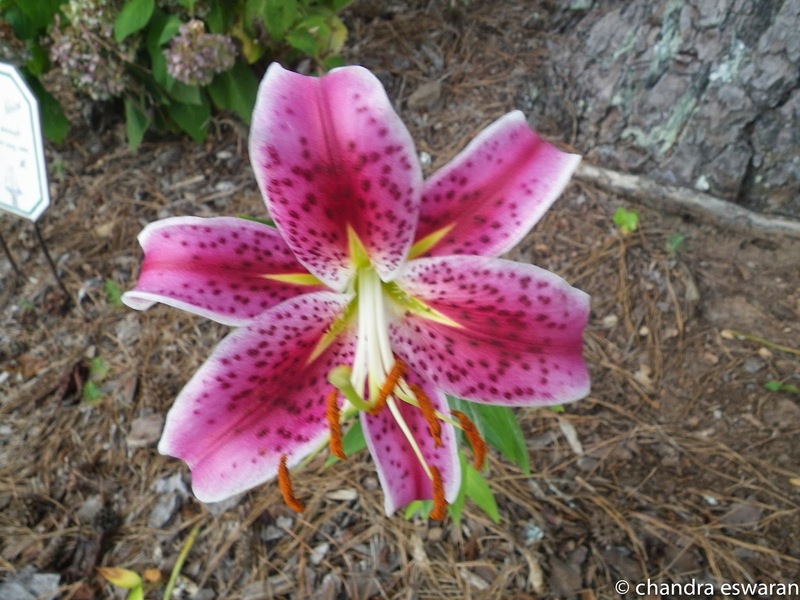 However, on a recent walk on the lake path, my wife pointed this Stargazer Lilly to me. I said, it is so pretty and I was ready to touch it; which is when my wife warned me just in time; that, if the stamen of the Stargazer Lilly stains your skin, it is rather difficult to get rid of. It smelled so good, I really wanted to touch it. But I behaved, for a change. The rainwater and the spring are filling up the lake fast. 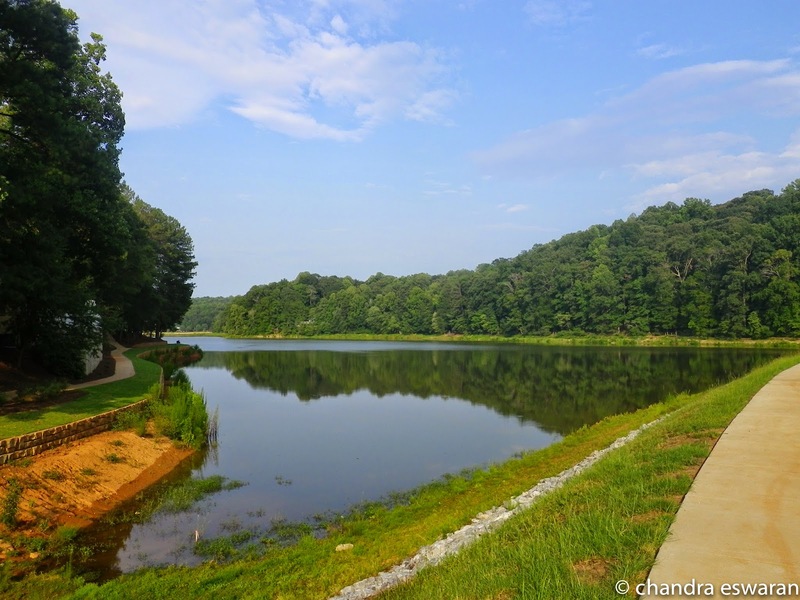 This picture below is not the most recent picture showing water levels at the lake, but it gives you an idea. Can't wait for it to be full and start seeing kayaks and canoes in the lake. Even I might be brave enough to get in a canoe or something, for fun.